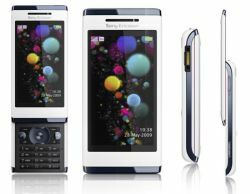 On this video guide we like to show You how to in easy and short way unlock Your Sony Ericsson Aino U10i. You will find here all steps. All process will took only 2 minutes. Please watch this video if You get any problem while ordering at our site. Nice tips and i tried that steps and this is working so thanks for that..
(10-24-2012 07:12 PM)tigerparrow Wrote: Nice tips and i tried that steps and this is working so thanks for that..
do You have an unlock code for Your phone ? You can get from online site.